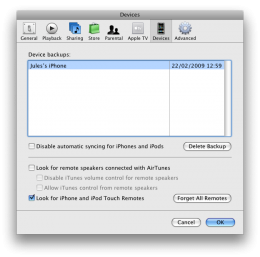 The problem is that when something goes screwy with your iPhone or iPod Touch (like erasing your contacts during a Google Mobile Sync…) and you fire up iTunes to restore it from a backup you now to be good, you can bet that the backup will have been purged. Rebuilding your iPhone set-up from scratch isn’t a huge problem, but it is a time consuming one — installed apps are maintained as a separate list and your music should be on your computer, but you will have lost any custom settings and app layouts. There isn’t an easy way around this, but there is a way around it — just manually backup your iPhone backups, either periodically or just before you do something that may put your iPhone data at risk. 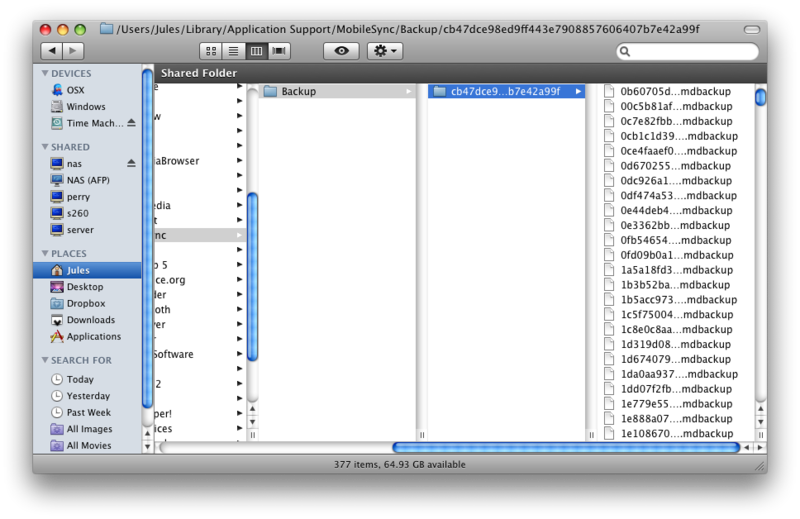 iPhone/iPod Touch backups take the form of hundreds of .mdbackup files, but they’re all contained within a single cryptically named folder — just copy it to the Desktop or somewhere, then copy it back to its original location when you need to restore it. 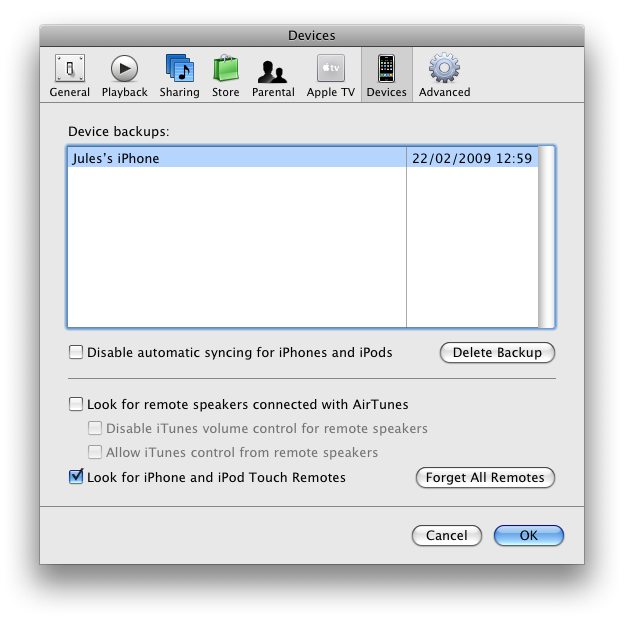 More info on iTunes synchronisation and backups over at the Apple support site. Posted in: Apple, Applications, Blog, How to.